This was one of the first things I made and I am a little hesitant to post it because if I were to build it again I would make some improvments...but I guess that's the whole point of open source, right? The table consists of one of the top pices, six of the legs, and one peice to help align the legs. The legs are glued together in pairs to make them thicker and then bolted to the top of the table. 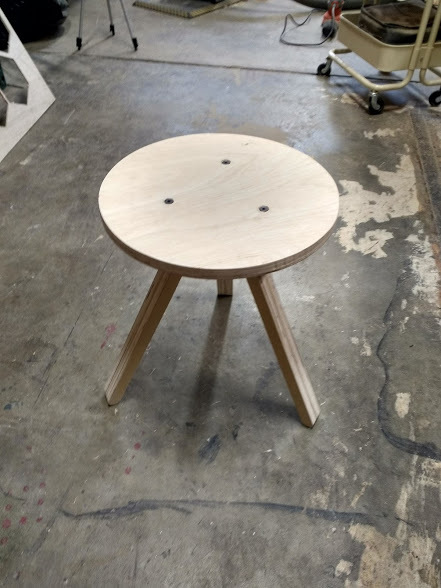 Because this was one of the first things I made, I didn't include holes for the bolts in the legs so they need to be drilled. This could be easily done by the CNC in a redesign. There is a center part which goes between the legs to align them. It is not intended to be a press fit, it just gives a sense of where the legs mount. I gave my table three coats of polyurethane and it has been holding up well. 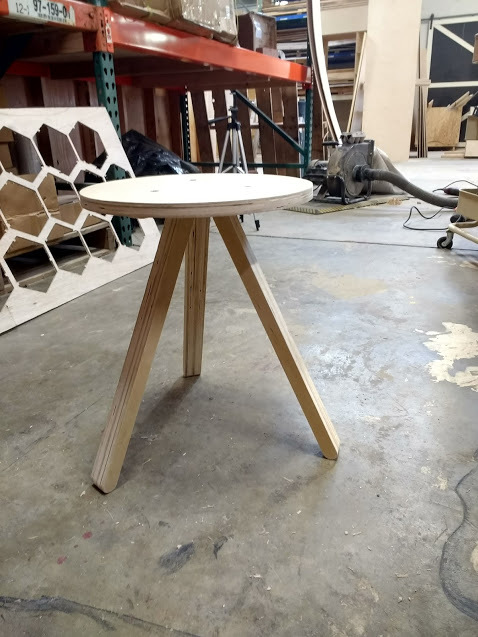 I used standard 3/4" plywood to make my night table, but the thickness of the wood is not critical.